National Cadet Corps as the foremost organization of our youth has been performing a unique service to the nation by inculcating the spirit of national integration and unity in our youth and molding them into responsible and disciplined citizen. 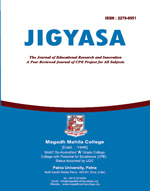 N.C.C Unit in Magadh Mahila College was established from the foundation of the College. It is the unit of Ist Bihar Girls Battalion, N.C.C. 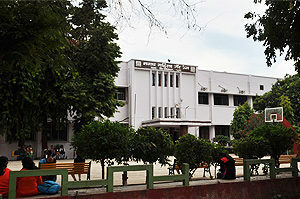 Patna, Which comes under Bihar and Jharkhand Directorate. The cadets of this college are very active at the college and state level. Weekly parade and classes are being organized for 2 hours every Tuesday. The Cadets have taken part in ATC, TSC, NIC, RD Parade,YEP and won accolades for their performance.Every year, the cadets have been able to get Cadet Welfare Society Scholarship and also they appearing for B & C certificate examinations and majority of them received good grade in the examinations.The unit organizes SSB training for cadets; some cadets have made it to defense services as officers. 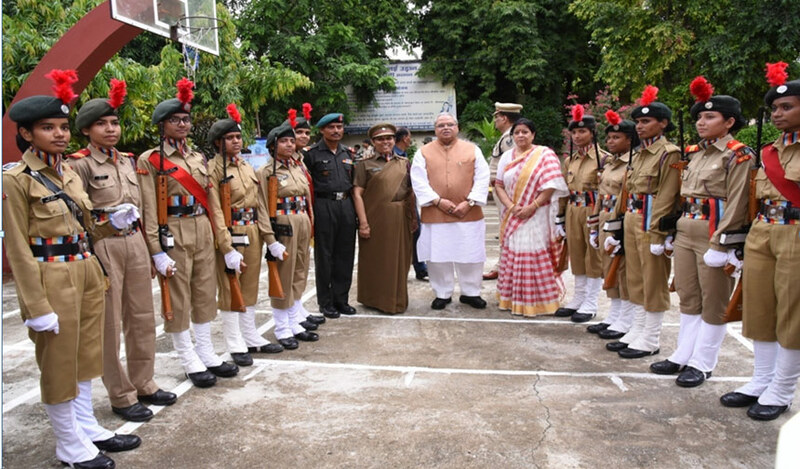 NCC unit of Magadh Mahila College has been playing a stellar role in inspiring and nurturing our girl’s cadet with vital traits of character building, discipline, leadership and camaraderie. It gives special emphasis on military training, adventure activities and social awareness programme. It instills in them, secular ideals and patriotism-which is essential for nation building. It provides an ideal platform for holistic development of girls’ cadet. Apart from camp training, cadets also participate in social service activities such as, Swakshata Abhian, Awareness programme,Tree plantation etc. N.C.C.unit in Magadh Mahila College has been run by Associate NCC Officer Captain Dr. Pushpalata Kumari. She is also Associate Professor in Department of Political Science. Strength: – 100 cadets are enrolled under the N.C.C.Unit of the college. N.C.C. Cadets of this college have been actively participating in over all different training activities throughout the year. The most imposing landmark of the NCC has been social service activity. The purpose of organizing these activities is to make the cadet conscious and sensitive to the needs and problems of the people and also contribute meaningfully to enrich community life. UNESCO sponsored Pulse Polio Drive Immunization Drive. The aim of the training is to enable the cadets to build character traits of a good citizen, including the values of regimental way of life which is essentially inculcating the values of discipline, punctuality, respect of authority, correct work ethos and self-confidence. Weekly classes has been arranged in College to impart training to the cadets on N.C.C. subjects such as military subjects, leadership and civil duties. Camp Training: – NCC Cadets of this college has participated in different camps throughout the country round the year.